This is the story of the last day of that crusade—a 24 hour period between April 29-30, 1975 when America’s political and military involvement in Vietnam came to a frenzied, sad and ignominious end. The memories of the final day of America’s involvement in Vietnam remain etched in my mind even after 30 years. During that final day 1,373 Americans, 5,680 Vietnamese and an exhausted and ailing American ambassador with the American flag folded under one arm and his pet poodle under the other would flee a land infamous for its coups d'etat and its byzantine cabals—a stunningly beautiful land of soaring green hills, lush forests, vast rubber plantations and fertile rice paddies that had become a political and military swamp for several American presidents. McNamara’s pet phrase was far from my mind 30 years ago when a barrage of 122 mm rockets slammed into Saigon. 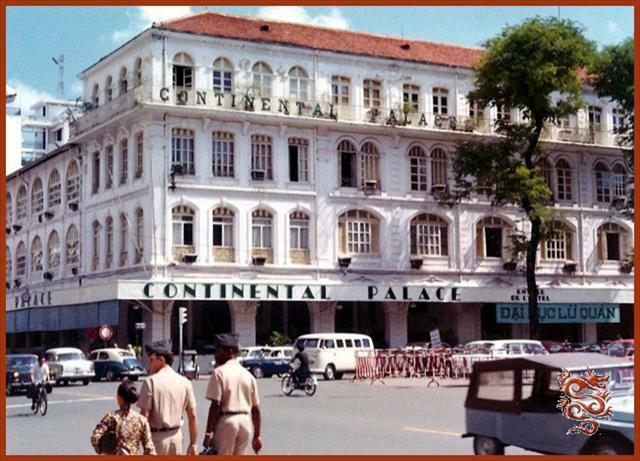 It was a little after 4 a.m. on April 29, 1975 when I was jolted awake in my second floor room of Saigon’s four-story French colonial-era Continental Palace Hotel. As I sat upright in my bed I realized it was oppressively hot and after the initial explosions, strangely quiet. Was this it? I can recall thinking. Is this the end? As it turned out, America's ill-fated crusade in Vietnam was indeed over. And this was the way it would end: not with honor, as one president had suggested, but in ignominy and humiliation and chaos. The North Vietnamese push for Saigon began March 7 in Vietnam's central highlands. Four days later, the provincial capital city of Ban Me Thuot, 180 miles north of Saigon fell. A few days later, South Vietnamese President Nguyen Van Thieu decided to adopt a plan of “strategic withdrawal,” which, in effect, conceded the northern half of South Vietnam to the Communists and precipitated one of the greatest routs in military history. The official length of the war is generally conceded to have been eight years—from 1965, when President Lyndon B. Johnson sent in the U.S. Marines, to 1973, when the Paris peace accord was signed. However, if you count the first advisers sent to Vietnam by Harry Truman in 1950, America's involvement in S. E. Asia spanned three decades. During that time, about 3.1 million military personnel (including 7,200 women) served in Vietnam. The human toll was staggering. By the time America's active involvement in the war officially ended in 1973, it had claimed the lives of 58,183 American men and women. Another 304,000 Americans came home wounded, sometimes physically and sometimes mentally. One of every 10 soldiers who served in Vietnam was a casualty. In addition, some 75 journalists died covering the war—more than in any other conflict in world history. Several are still missing. In Vietnam the impact of America's involvement in the war was even more conspicuous: 3 million Vietnamese killed, including 1 million North Vietnamese and Viet Cong soldiers; 250,000 South Vietnamese soldiers; and 2 million civilians, according to Vietnam's Ministry of Labor, War Invalids and Social Affairs. More than 600,000 North Vietnamese and Viet Cong troops were wounded, while 500,000 South Vietnamese troops were wounded and 2 million civilians on both sides were crippled by mines, artillery fire, chemical defoliants, bombings and the general mayhem of war. On April 20, the provincial capital of Xuan Loc just 46 miles east of Saigon fell after holding out for several days against a tenacious siege by NVA troops. The fall of Xuan Loc was a signal for people to proclaim what quickly became Saigon's epitaph: "La Guerre est fini; Saigon est fini; everything est fini." 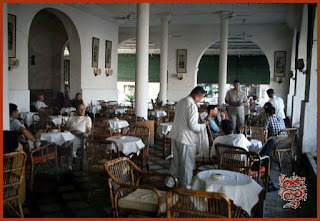 It also sped up the dynamic Saigon rumor mill. One rumor said that Catholics originally from the north would be sent on a death march along the Ho Chi Minh Trail. 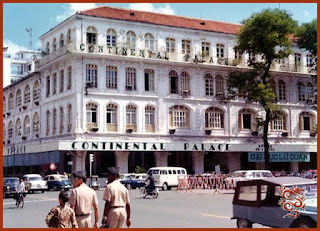 Another rumor said that Viet Cong soldiers in Da Nang had ripped out the manicured fingernails of prostitutes, prompting a frenzy of fingernail cutting and polish removing among Saigon's bar girls. Yet another rumor said that unmarried Catholic girls would be forced to marry North Vietnamese war invalids. Thompson’s assessment notwithstanding, Ambassador Martin did not want to be accused of cutting and running. Until the last few hours he was convinced there could have been some negotiated, equitable settlement that would allow a smooth transition of power. It is possible today to forgive Martin for his muddled thinking—especially in light of the revelations contained in the book “In Retrospect: The Tragedy and Lessons of Vietnam” published in 1995 by one of the architects of America's involvement in Vietnam, former Defense Secretary Robert McNamara. McNamara's admission that he and others in the Kennedy and Johnson administrations knew the war was wrong—and even un-winnable—as far back as 1965 but decided to send Americans to fight and die there anyway makes Martin's diplomatic dithering seem acceptably innocuous. 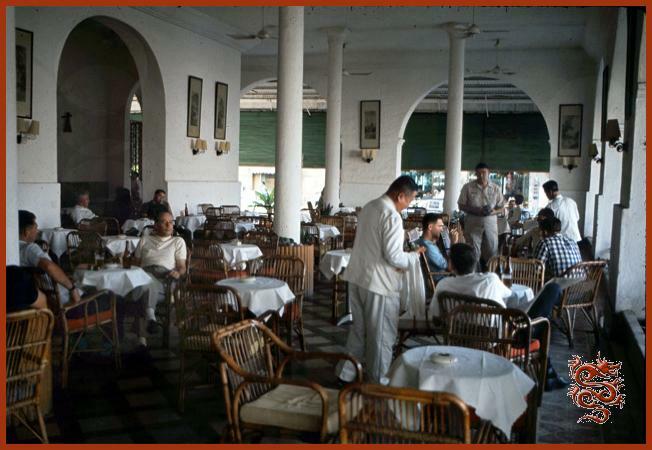 I can recall sitting one evening on the "Continental Shelf"—the open air veranda of the Continental Palace Hotel (now glassed in and renamed Chez Guido) that overlooks Tu Do and Le Loi streets—when several Japanese correspondents came rushing up to my table. It was one of those droll little moments that punctuated the larger agony of the war's last few hours. “The back end of the gym's been hit!” a Marine shouted into his radio. As we trudged down Tu Do Street, ARVN soldiers and home guard units watched our ragtag formation menacingly. In the distance we could hear the constant explosion of artillery and mortar shells as they slammed into the city's suburbs. Finally, we arrived at our evacuation point: a spot facing a statue of Vietnam's 6th Century military hero Tran Hung Dao. A helipad had been created atop a building, but the South Vietnamese navy had placed a 50-caliber machine gun on the top of a building next door. It was decided the machine gun might be used against departing U.S. choppers. So that evacuation point was abandoned. I trudged down Hai Ba Trung Street. The temperature was already close to 100 degrees and my shirt was soaked through with perspiration. Eventually, I made my way to an alternate evacuation point—the University of Maryland's Saigon Education Center. It was padlocked. I waited. Finally, at 12:20 p.m. two olive drab buses arrived and I climbed aboard along with about 60 other members of the Saigon press corps. “What's this, the Graham Martin sightseeing excursion?” someone asked. The UHF radio in the Marine's hand crackled. It was “Dodge City” again. “Roger that,” the Marine said. Then, turning to the 60 people jammed on the bus, he said. “Looks like we're going to the airport.” In the distance we could hear the explosion of rockets and mortar shells slamming into Tan Son Nhut. We watched a Vietnamese C-119 transport plane somehow lift off from the cratered runway and we applauded the pilot's skill. Our applause turned to horror seconds later when a heat-seeking missile streaked skyward, slammed into the transport and sent it plummeting toward what looked like the Cholon section of Saigon. Today's Journalism: No Experience Required?